It is good luck to say “Rabbit, Rabbit, Rabbit” first thing each month… and so ColumbusBestBlog.com tries to do so. I do not always succeed, but I try to carry on the tradition or superstition. 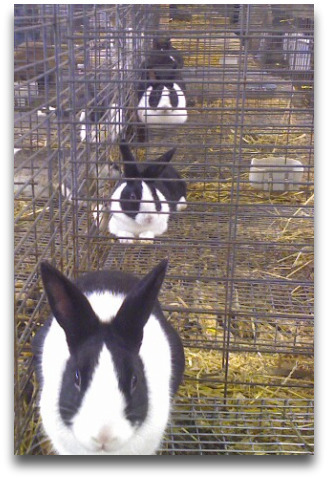 A trip to the Ohio State Fair in August renewed my interest in saying “Rabbit, Rabbit, Rabbit” here to start each month off. Thanks to Connector Radio and the Ohio State Fair for renewing my interest. I won tickets to the Ohio State Fair thanks to Connector Radio. Listen Tuesday evenings at 9:30. I also won tickets to a play in Worthington… did I ever blog about that? Somewhere? August 2009 Little did I know at the time that I would see so many bunnies in so little time. In August I was haunted by an itty bitty bunny I took to a wildlife rescue in July 2009. I have a new outlook on life…. Hint lots of bunny photos. Have a great September! Rabbit, Rabbit, Rabbit!